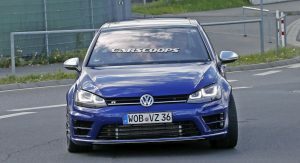 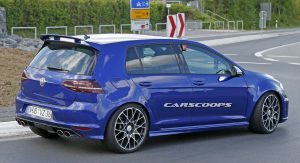 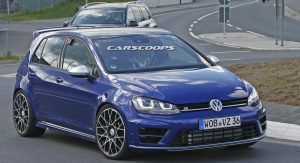 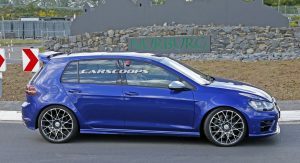 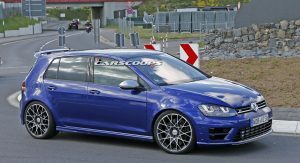 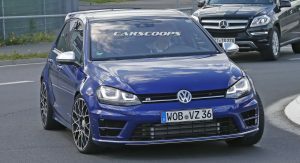 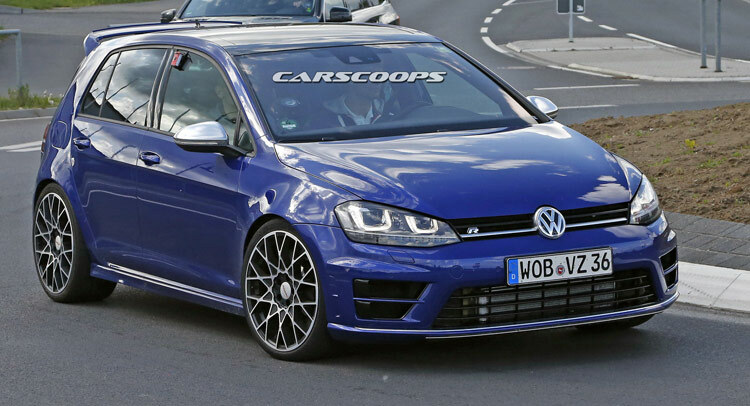 VW is really pushing the envelope with its performance Golfs, as after the production-intent 265PS (261hp) Golf GTI Clubsport, we spied a test mule for the upcoming Golf R400. 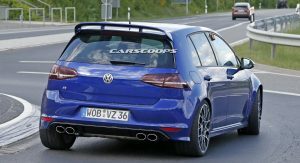 First seen as a concept at last year’s Beijing Auto Show, VW officials have since green-lighted a production version of the Golf R400, which could debut as early as this fall at the Frankfurt Motor Show and go on sale next year. 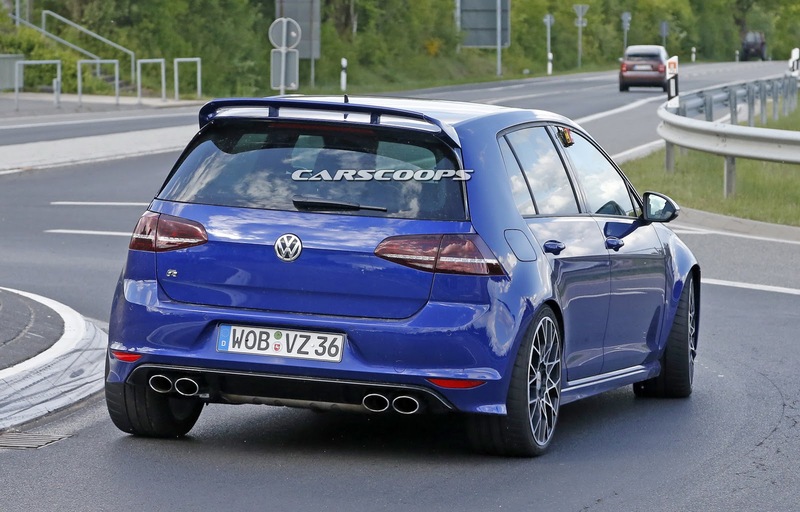 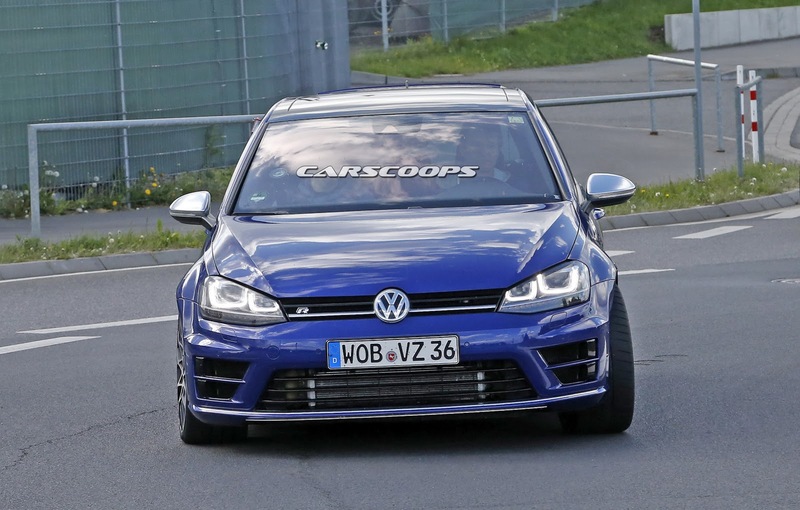 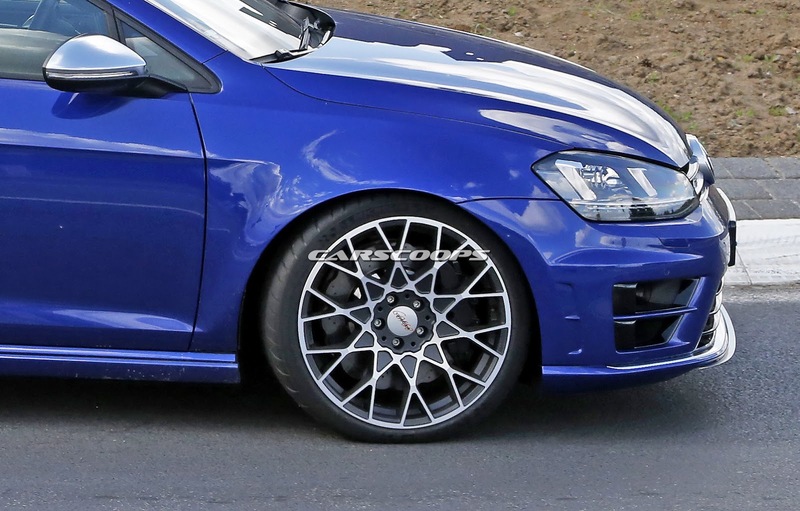 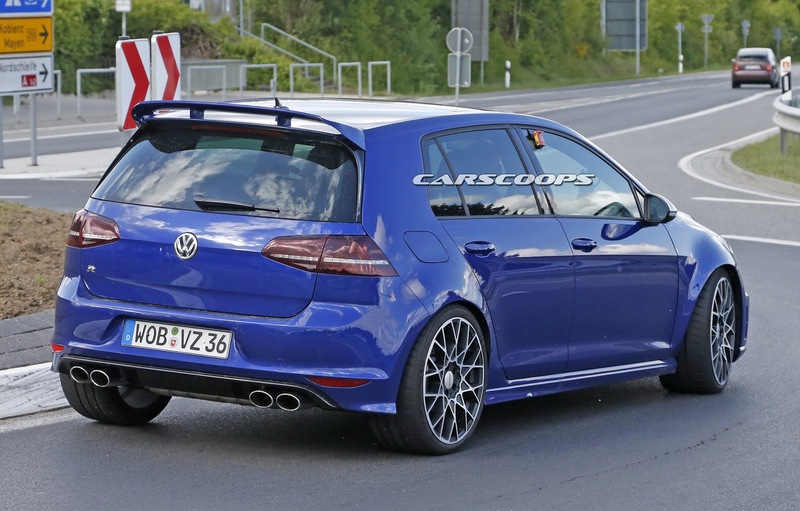 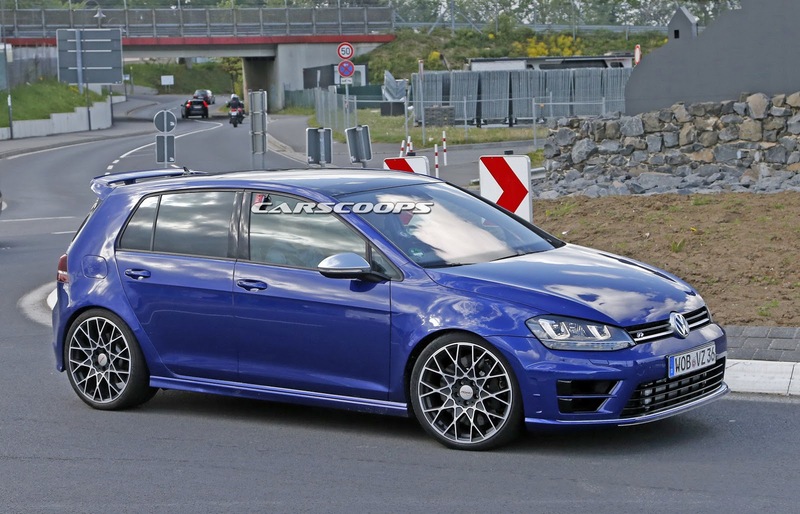 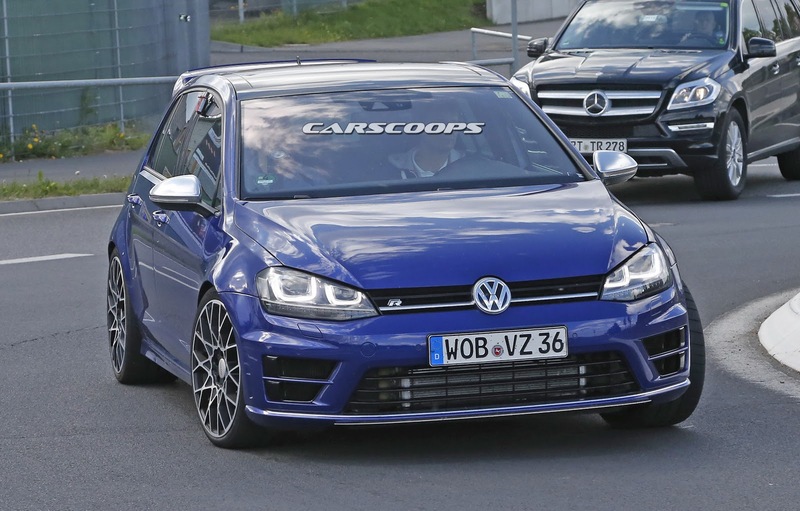 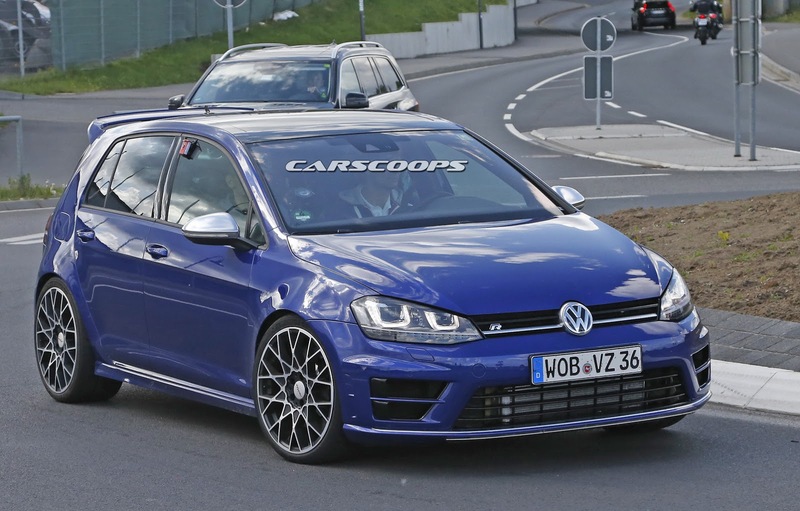 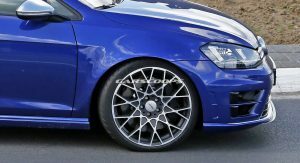 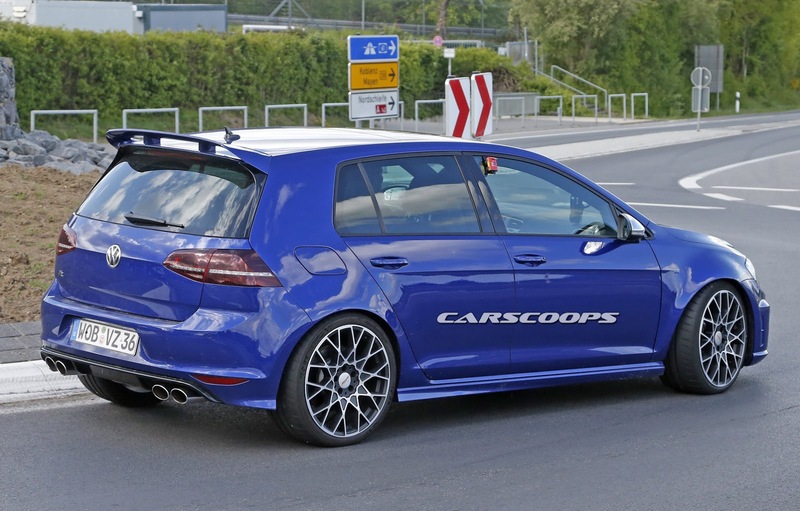 While the tester is based on the much tamer 300PS Golf R, it does get bigger wheels in beefier tires with cross-drilled rotors featuring a wavy shape, a large roof wing, and a subtle lip spoiler on the front bumper. 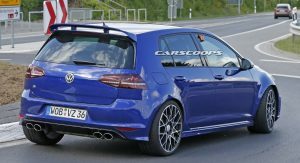 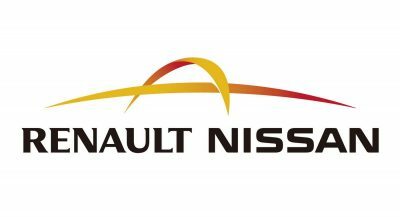 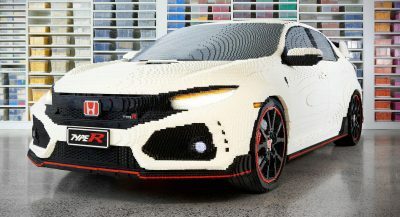 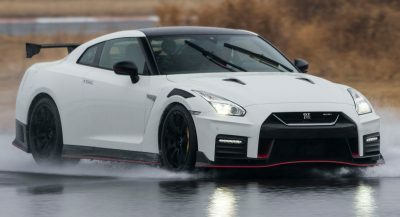 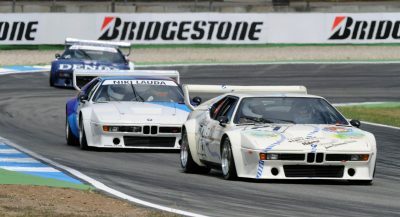 The production model will likely gain most of the concept‘s cosmetic touches, from the modified and vented front and rear bumpers, to the more prominent rear diffuser with twin central mounted pipes. 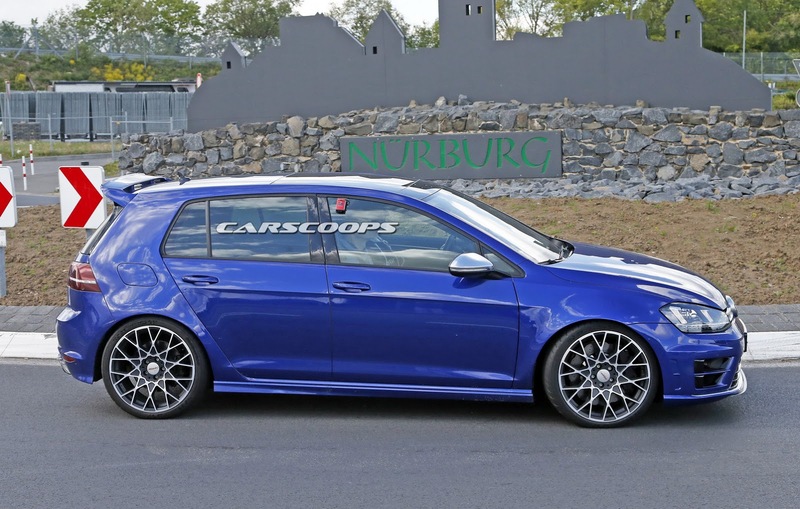 At the heart of the Golf R400 you’ll find the high-output 2.0-liter turbo engine first seen in the Audi TT Quattro Sport Concept with 400PS / 395hp, or according to some sources, possibly even with up to 420PS / 414hp, in which case, the steaming hot hatch would be named R420.